As the value of XAO increase roughly exponentially over time, the technique chosen here is to convert the dataset in to a series of net-returns, or ratios of successive value differences. For an asset whose price changed from p(t) at time t to p(t+dt) at time t+dt, the linear net returns Rnet are defined as (p(t+dt) - p(t))/p(t). 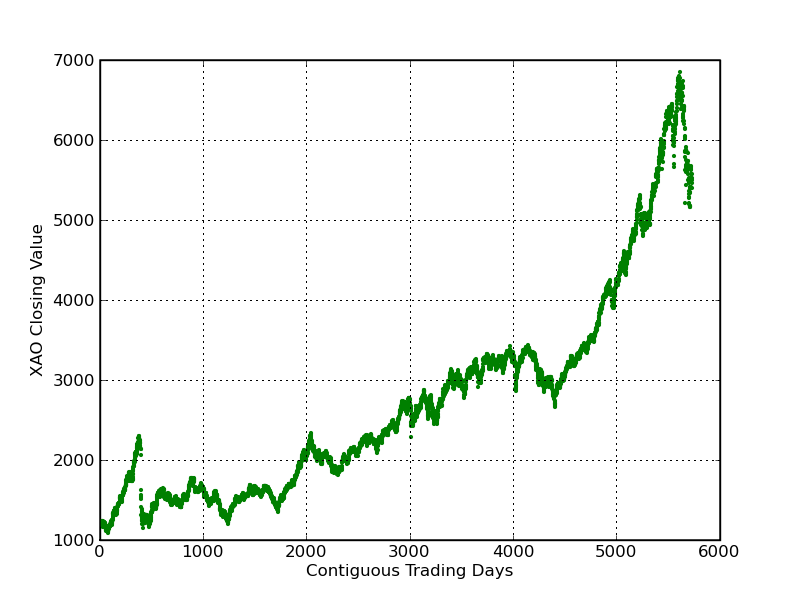 Figure 2 is a graphical representation of these net returns. The insert is an amplification of the dotted sesction containing a very negative return–that of 20 October 1987 (“Black Tuesday"), the largest one-day percentage decline in stock market history. 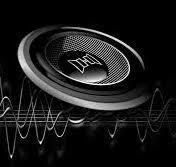 Play XAO net returns sonification (7.6 Mb MP3 file). 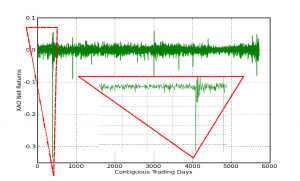 Here is a sonification of uniformly random net returns to compare with the market net returns. Play Random Net Returns sonification (7.6 Mb MP3 file). Here is a sonification of a set of normally distributed random returns, with the same mean and standard deviation as the original set of market returns. Play Gaussian Net Returns sonification (7.6 Mb MP3 file). 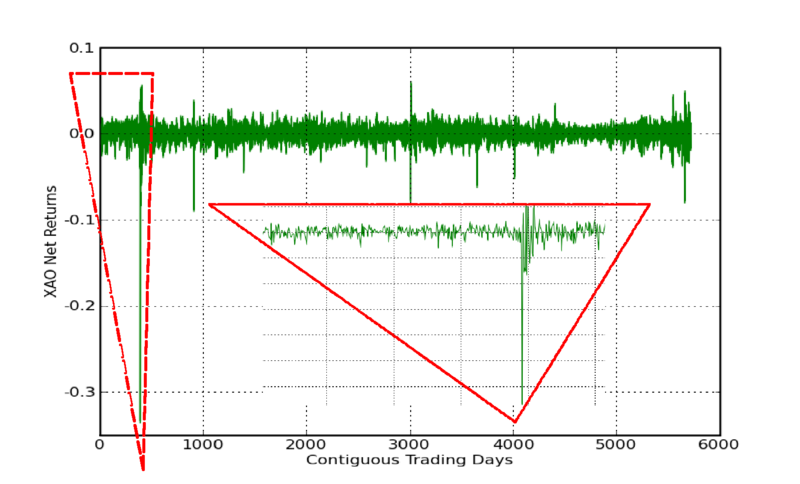 In a uniform random, or "white noise" distribution, all net returns all are equally likely. In a Gaussian, "normal" or bell-shaped random distribution, the net returns with the greatest frequency are centred round the mean and those furthest away from the mean occur less often. 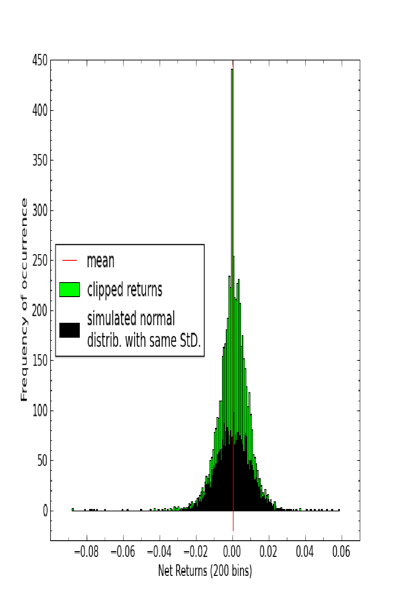 In this manner, normally-distributed returns are more statistically similar to market returns than uniformly random returns. In fact classical quantitative theory (after Bachelier) proposes that they are identical.